Gothic Horror miniature battles featuring struggles between men and monsters in the style of the films and fiction of old. 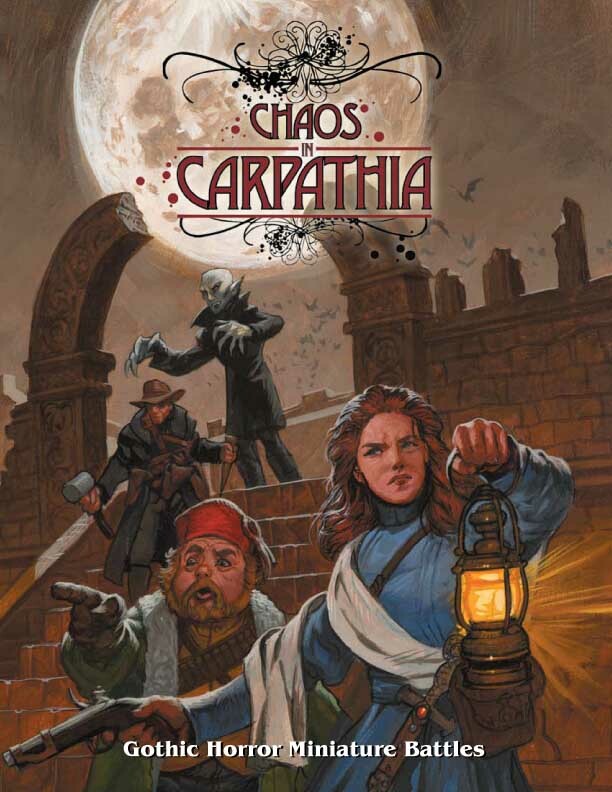 Chaos In Carpathia is a skirmish miniature game designed for 28mm miniatures and perfect for use with the new line of miniatures by Blue Moon Manufacturing. Chaos In Carpathia will be 84 pages with color front and back covers and a black & white interior. Nicolas VANDEMAELE 10 10 10 Great game. Shawn Humphrey 10 8 9 This is a great value if you're looking for a ruleset that is great for Gothic Horror gaming. One weakness: no option to generate characteristics for your own models. So if you have oddball pieces, you'll need to playtest your own stats. Patrick Clapham 10 10 10 One of the better skirmish games I've played in a while. 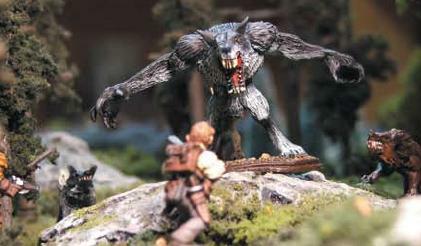 The rules can be adapted to a varity of settings, from pulp, to fantasy, to science fiction. Tom Clark 8 9 9 A really nice game, definatly worth a try if you have enjoyed mordheim or other skirmish games. If you like gothic horror or victorian science fiction then I would highly reccomend! manuel ruiz porras 8 8 8 It is a rule easy to learn, simultaneously it is simple but complete. Brian McLain 10 10 10 Great rules system just wish there were rules for creating new warbands. Robert Luhrman 10 10 10 This is a great little game for people who small warbands with intense combat. The Goalsystem is easy to learn and after the first few games is very natural to use. Highly Recommended. Michael Schroeder 10 10 10 This is by far the best expansion of the GoalSystem yet. As one of my favorite eras, this Victorian Horror skimish game will see years of play. Jaye Wiley 6 6 6 Better than Chaos in Cairo, but doesn't have character building capabilities.